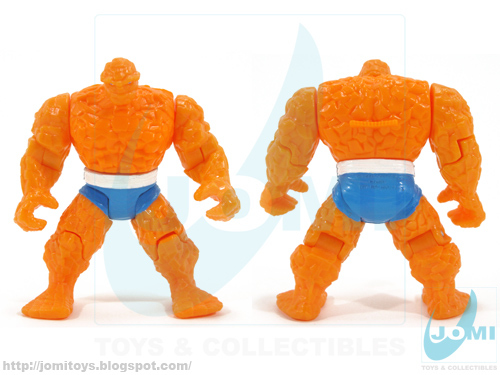 Ben Grimm in its... pardon, his crude yet very known and loved form - The Thing! 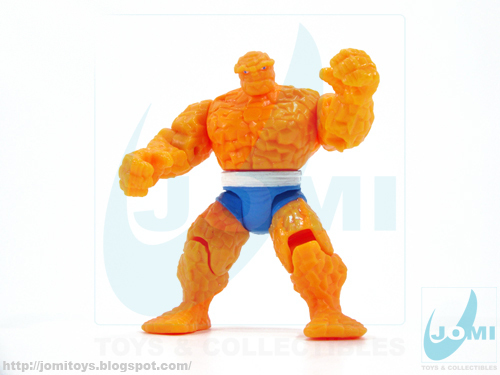 One of the Fantastic Four characters, created in the early 60s and known to be the first team creation by comics legend, Stan Lee! Toy Biz, 1994. 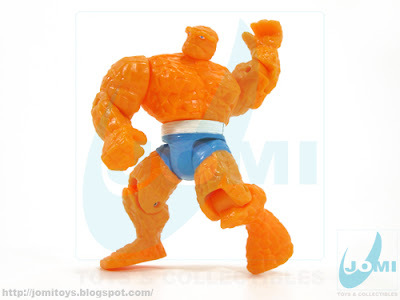 With his trademark orange rock appearance, this strong and powerful... thing has a very decent articulation set of points, especially for a figure this large (13cm - approx 5"). Clobberin Time Punch feature. Neat! One my all time favorite comic book characters! And this action figure of him looks great. Indeed. 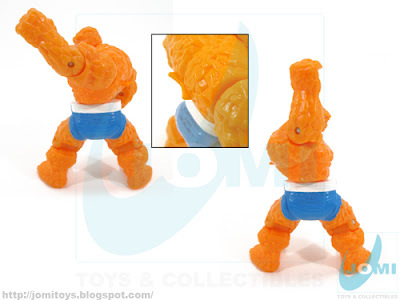 The simplicity of this figure goes unnoticed since the character itself (its looks) is also based on a simple basis. However, all considered, it´s detailed enough. And the articulation is fairly good! Probably one of the best "The Thing" figures to date.